1. 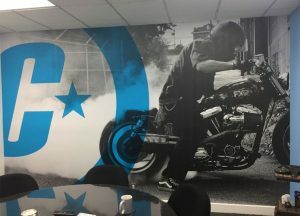 Transform Your Interiors – Wall graphics are an excellent way to completely transform the appearance of your room, conference room, office, reception area, building or exhibition in a short period of time, without having to remodel or repaint the entire area. This means that if you are in need for a change of scenery, a much more affordable way of doing so would be to opt for wall wraps that will instantly add a wave of new energy to any space. You can also use these wraps to add a touch of your company branding to the interiors of your office, creating a coherent color scheme throughout the workplace. 2. Get Consumers in a Buying Mood – There is no better way to put the people passing by in a mood to spend some money on your products or services than large, creative and persuasive wall wraps showing other people using your products or services. If you sell sports garments, then a wall wrap featuring famous athletes wearing your clothes will tempt people to spend big. Or, a convenience store may opt to integrate professional photographers of some of their pick-and-go food items. Narrating Your Company History – A quick and creative way to transform a boring hallway is with a timeline graphic highlighting the history of your business. These wall wraps also work great in conference rooms, auditoriums, and workshop stations. By harkening back to your humble inception, you will succeed in impressing customers and onlookers with how far you have come and how much you have grown. Exhibiting Educational Information – Explaining what your products are made of, and what your services include can make a big difference on passersby’s perception about your business. 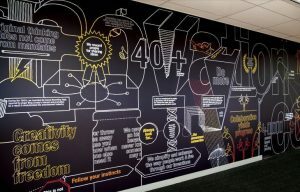 You can use a big, bold wall wrap near your reception area to display how your products are made or how your services are delivered, or any USP worth highlighting. 4. 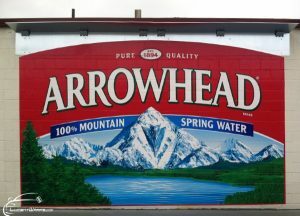 Outdoor Advertising - Wall wraps are commonly used for outdoor advertising today since they can provide the exposure you need in an increasingly busy and distracted world. They offer a powerful medium for promoting your business and conveying your message. You can cover the side of a building with an artsy display that is related to the function, product, or service of your business and you are sure to grab the attention of countless potential customers. A well-designed wall wrap can not only capture and captivate attention, but will also compel people to take action -which can be a first step towards leading them to become your loyal consumers.